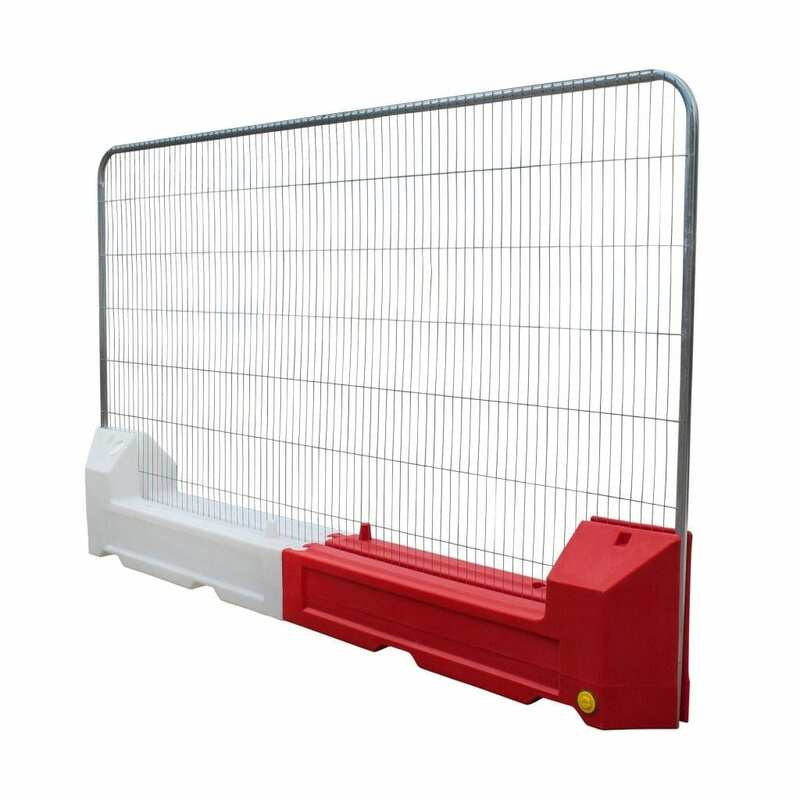 The slot block barrier is one of the safest and most secure fencing solutions on the market. 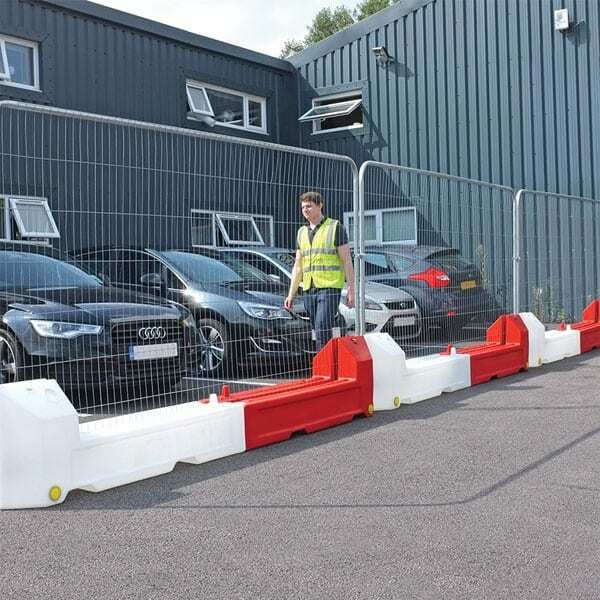 With a unique space saving design for inner city projects, these block barriers rotate 45° and are more visible than other temporary fencing solutions. The water filled blocks make the barrier very stable so trip hazards are virtually eliminated. The barrier is very quick and easy to assemble. Features a 50mm drainage point for ease of emptying. Very weather resistant, these panels can cope with extreme wind and rain conditions. For use with industry standard sized fencing panels. Reflective strips and lights can be added to further increase visibility.